Kerry S. asks: Are you supposed to eat the rind of cheese or just throw it out? Is it safe to eat? Does it depend on the type of cheese? Thanks! Whether or not you should eat a cheese rind depends entirely on your taste, as even the most unpalatable rinds are in no way poisonous or dangerous to eat. Often imparting a unique and even complementary flavor, consuming the rind along with the headline act is frequently recommended for some cheeses. On the other hand, not everyone enjoys the flavor or texture of even the mildest rinds, and, in fact, several prominent cheese experts discourage rind consumption altogether. For those cheeses that have a rind, it may serve one or more purposes, such as imparting flavor, retaining moisture and protecting the cheese from air and the elements. Generally speaking, the harder the rind, the longer the cheese has aged. If you choose to eat the rind, it will help to know a little about the different types of cheeses and their rinds to see just how daring you’re willing to be. As a general guide to cheese rind eating, here are several “families” of cheese in terms of rinds (or their lack). Fresh cheeses, like ricotta, cottage cheese, chevre and feta are rindless. Eat away! 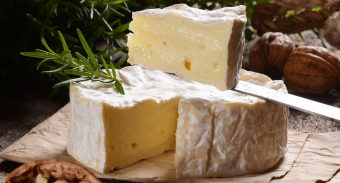 Bloomy rind chesses like Brie and Camembert have lovely white rinds that are soft, easy to chew and add a delicate umami flavor (like mushrooms) that many people enjoy. You should know that the “bloom” however comes from penicillium candidum, a special type of mold that is purposely sprayed on the cheese’s surface. Nonetheless, despite its moldy composition, these bloomy rinds are among the most appealing in terms of taste and texture. 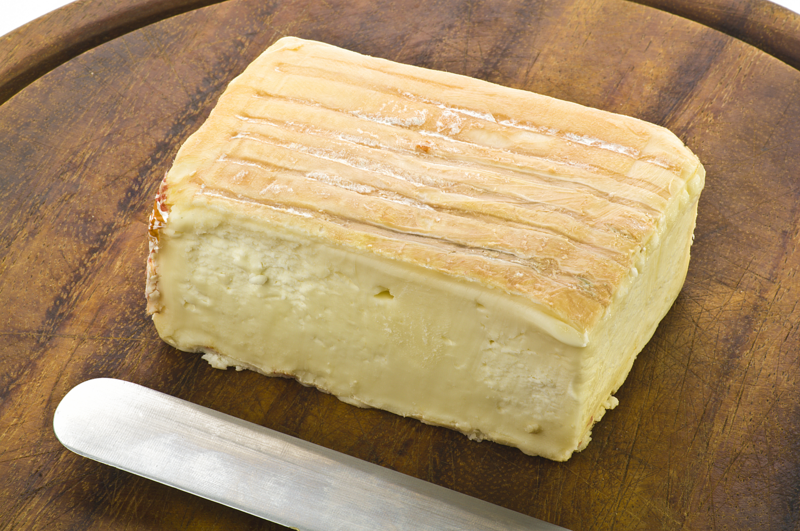 Washed rind cheeses are slathered or “washed” in any of a variety of products, including beer and wine to encourage the growth of flavor-imparting bacteria and mold that add distinct flavor and usually make the cheese a bit stinky. These may also be washed in a brine, which can leave salt crystals behind on the rind that impart a grainy texture. 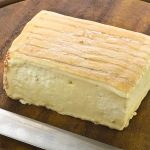 Examples of washed cheeses include Muenster and Taleggio, and these rinds may be pinkish, gray, reddish and even a bit mottled. The rinds of natural rind cheeses, as the name would suggest, form naturally, without the addition of microflora, mold or even any washing (of course, this doesn’t mean they won’t end up with a bit of the mold that naturally exists in the environment). 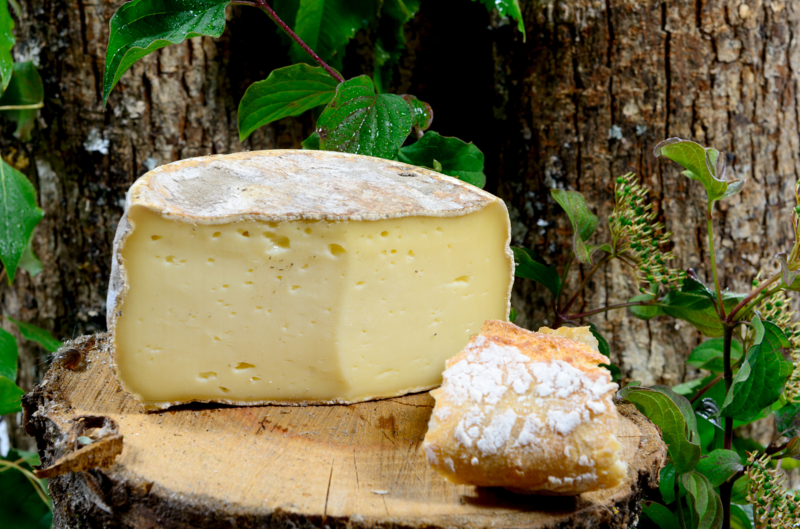 With one well-known type, Tomme de Savoie, between the craggy crust (sometimes dotted with its natural mold) and strong smell (the rind on a Tomme produces ammonia as a byproduct), even diehard rind eaters will usually steer clear of this one. Blue cheeses have a variety of rinds from the naturally developed, like Stilton, to those wrapped in sycamore leaves like Cabrales. The rinds of these cheeses, which can also include simply foil and plastic, are not traditionally eaten. But, again, if it’s your cup of tea, eat away. It won’t hurt you. Hard cheeses are typically aged for long periods of time, and after (in some cases) years of aging, their rinds become pretty tough. In addition, given their long aging process, these cheeses may have been wrapped in a man-made casing that isn’t intended to be eaten. Examples of these kinds of cheeses include aged gouda with its wax rind and cheddars wrapped in cloth. When experimenting with a new rind, experts suggest you start from the part of the slice of cheese that is furthest from the rind and nibble your way outward; by this method, you will enjoy the most delicate flavors of the cheese first, and then experience increasingly stronger flavors. If the flavor and texture continues to be enjoyable, you can continue all the way to eating the rind. If not, the rinds of many cheeses, such as Parmesan, which some find too strong, make for great flavor additions to a pot of stew. Is There Actually Any Cheese in Cheez Whiz? The cheese consumption of many European countries dwarfs that of the United States and Canada. 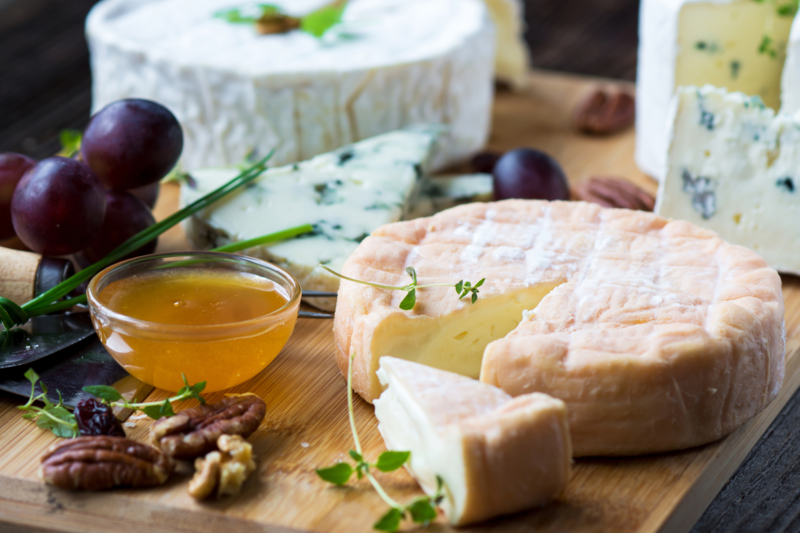 According to the Canadian Dairy Information Centre, in 2014, France topped the list with a per capita consumption of nearly 59 pounds, following closely by Finland (56 lb./person) and Denmark (54 lb./person). By comparison, Canadians ate 27 pounds per capita and Americans had 34 lb./person. However, for that same year, Canadians had per capita beef and veal intake of 39 lb./person, nearly 37 lb./person of pork and 73 lb./person of poultry; in the U.S. we had 54 lb./person of beef and veal, 45 lb./person of pork and 98 lb./person of poultry. By comparison, the 28 countries of the European Union consumed 23 lb./person of beef and veal, 68 lb./person of pork and 47 lb./person of chicken. 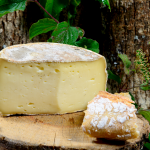 Cheese rind – to eat or not? 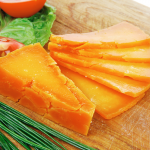 Which Cheese Rinds Are Edible? 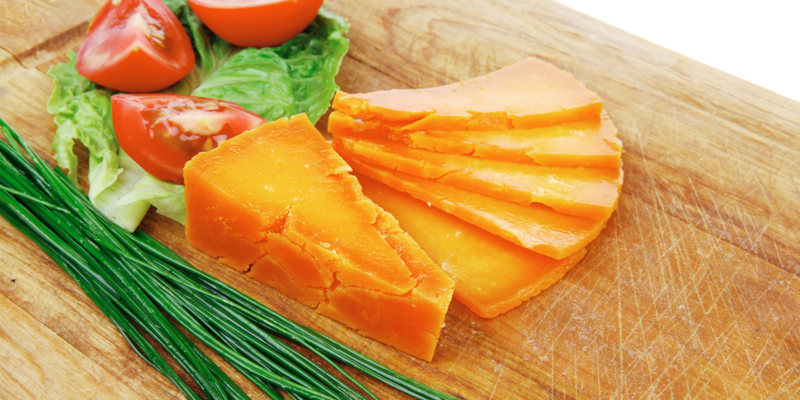 Cheese Rinds: To Eat or Not to Eat? Three Types of Cheese Rinds, Are They Edible?